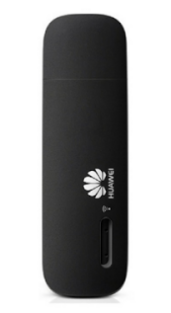 Huawei E8231 Driver Download - Huawei E8231 3G Wireless USB Modem, modem types of GMS, the same as the previous Huawei modem equipped with SMS firut so in an Internet connection can send a message. These modems support for windows with features plug & play so just stay plugs into the windows os can directly connect, but not only support on any windows operating system, another operating system also supports such as Linux and Mac OS X. In terms of design is also very slim and light are two colors black and white. Speed ​​owned by Huawei E8231 is fairly good, namely 21.6 Mbps and upload speeds up to 5.76 Mbps with HSPA + connections to obtain access to mobile broadband 3G. To be able to better berinternetan on 3G networks because it will immediately feel the results. Not only in the speed of a good connection, Huawei E8231 is able to share the connection without using the computer alone, asalakan no power like using POWERBANK, jack, adapter by entering your SIM card and wait 12 seconds can immediately enjoy internet services Wifi from Modem Huawei E8231, perfect for those who like to travel far in which the area is no konseksi wifi, or suitable for college students who need an internet connection for the working group, but the use to share wifi is limited to 10 users, try using wifi modem is dengna konkesi stable and many data packets so that the data packet is not quickly exhausted. In addition to providing convenience to share wifi without using a computer, but there are drawbacks one of which is no memory card slot on the modem Huawei E8231 3G Wireless USB Modem, so usually there is a place for the modem to the memory card but on this modem does not exist. we provide download link for Huawei E8231 Driver, you can download driver, Hilink and Device AutoRun and mobile partner for your device. for windows, automatic installation for Huawei E8231 Driver when plugged in device.